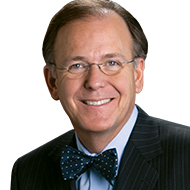 Dr. Douglas Reeves has worked with education, business, nonprofit, and government organizations throughout the world. The author of more than 30 books and more than 80 articles on leadership and organizational effectiveness, he has twice been named to the Harvard University Distinguished Authors Series and was named the Brock International Laureate for his contributions to education. Dr. Reeves received both the Distinguished Service Award from the National Association of Secondary School Principals and the Parent's Choice Award for his writing for children and parents. His career of work in professional learning led to the Contribution to the Field Award from the National Staff Development Council. For his international work, Dr. Reeves was named the William Walker Scholar by the Australian Council of Educational Leaders. Since 1998, Solution Tree has worked to transform education worldwide by empowering educators to raise student achievement. With more than 30,000 educators attending professional learning events and more than 4,260 professional development days in schools each year, Solution Tree helps teachers and administrators confront essential challenges. 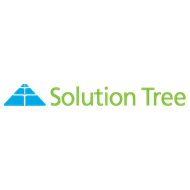 Solution Tree has a catalog of more than 515 titles, hundreds of videos and online courses and is the creator of Global PD, an online tool that facilitates the work of professional learning communities.